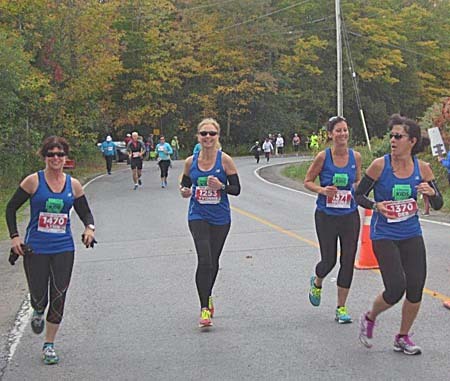 It's one of the biggest annual fundraising runs in Greater Sudbury. And the 2014 edition of the Canadian Breast Cancer Foundation CIBC Run for the Cure, held at Cambrian College Sunday morning, did not fail to live up to that tradition. More than 1,000 people walked or ran one- and five-kilometre routes around the college campus, raising an estimated $300,000. But that figure isn't final, explained past run director Mary-Catherine Coady, as money continues to come in some 40 days from the run date. The 2013 event saw about $350,000 raised. “It's getting even bigger every year,” said Coady. Breast Cancer survivors could be identified Sunday by their light pink T-shirts. The majority of participants wore white shirts. Donning a pink T-shirt was breast cancer survivor Angie Roy, 39, of Lively, who was part of the 11-member Angie's Angels team. Featuring her two daughters, husband, parents and grandmother, the team collected about $500 in pledges. Over the past three years, the team has collected about $2,500 in pledges. Angie said she was discovered with Stage 2B breast cancer three years ago. After undergoing radiation, chemotherapy and screening, “everything is good now,” she said. The mother of three said the breast cancer diagnosis came as a surprise. Julia's friend, Olivia Gingras, also 12, has, in addition to showing support for her friend's mom, has many more reasons to participate in the annual run. Some 35 teams participated in Sunday's event, including Breast Buddies, Pretty in Pink, The Vibe Tribe, and Pink Pooligans. Some teams were as large as 40 members. 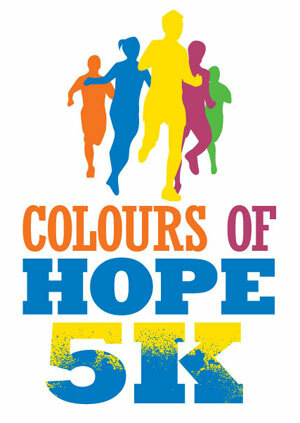 Some 60,000 people were expected to participate in Run for the Cures across Canada. Now in its 23rd year, the Run for the Cure raises funds for the Canadian Breast Cancer Foundation to support breast cancer research, health education and advocacy programs. and enjoying the natural beauty of Sudbury. It is truly a hidden gem within our city limits. Members of SudburyRocks!! running group usually run the Laurentian Lake trail a few times every year. Fall is one of the best times to take in the route as the colours can be spectacular. This year has been extremely wet so if you wish to go around expect to negotiate a bit of water. We got a bit damp but as the photos show it was a great experience. 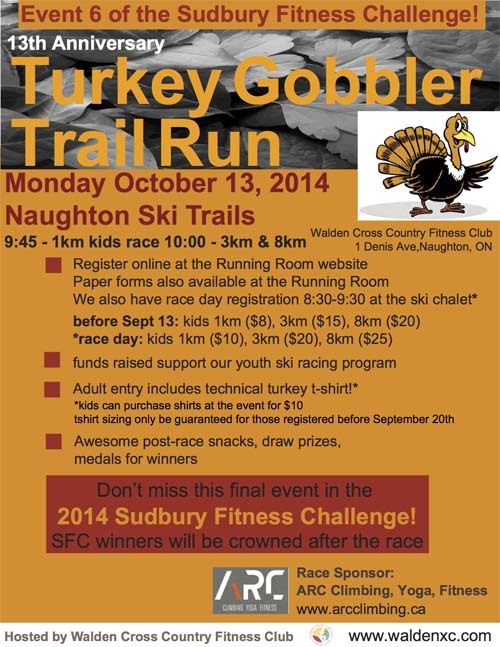 Next stop, the Turkey Gobbler 8k. See you on the trails. our efforts. We truly appreciate it! and I'm sure we'll enjoy many more. Todd Withers will be conducting an 8k trial trail run Thursday October 9 at 5:30 on the new course in Walden. If people wanted to see or try the course prior to race day it will be a slow orientation run. Wet sections so old shoes are recommended. 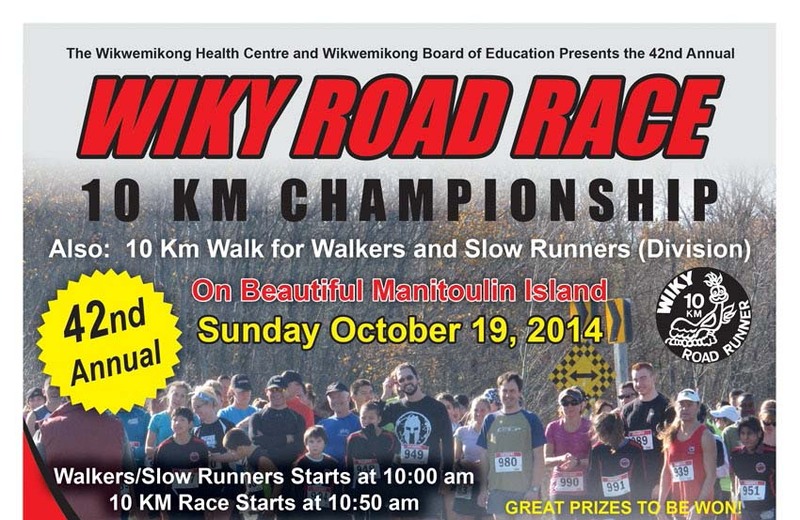 You can still register for the 10km clinic with Sara and Vince taking place Monday evenings at 600. Congratulations to all those who participated in the 2014 CIBC Run for a Cure. Even though it was a cold day, there were approximately 1100 participants, raising over $ 150,000 . We would also like to thank all those who volunteered at this event, and of course, all the coordinators who put many hours into planning this successful event. October 21: half marathon clinic with Ryan !